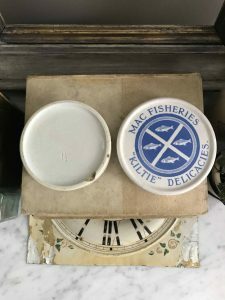 This is a listing for one (1) MAC FISHERIES “KILTIE” DELICACIES lidded pot with base. A 20th century item. 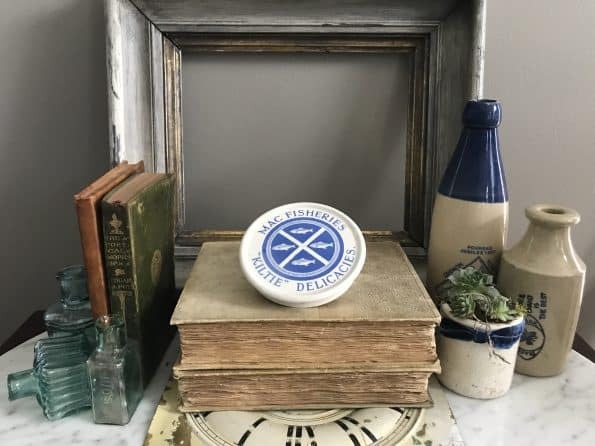 The images are the best representation of this listing. 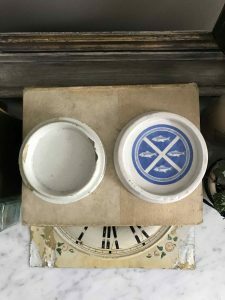 The beautiful blue-printed lid with fish design, which has graphics on both the top and the inside, is in excellent condition with no chips or cracks. The plain white base has a few chips and cracks, which aren’t noticeable when the lid is on.